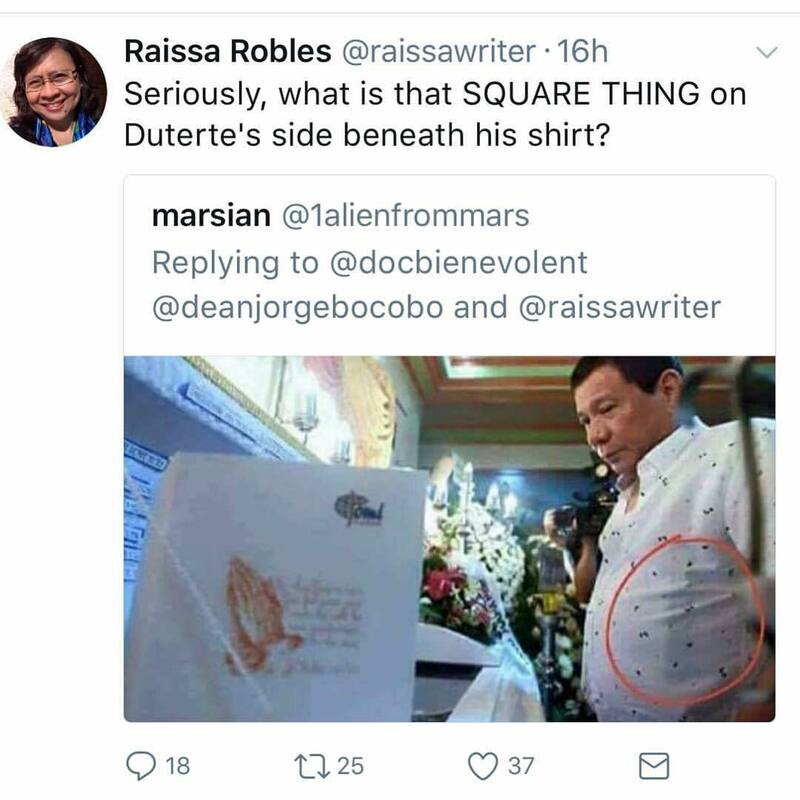 Raissa Robles is taking her investigative journo skills to a notch higher. Seriously, what is that ugly ROUND THING on top of Raissa's neck? This is not the first time that Raissa went this low. She has been propagating ridiculous theories on her Twitter stream since Duterte came to power. 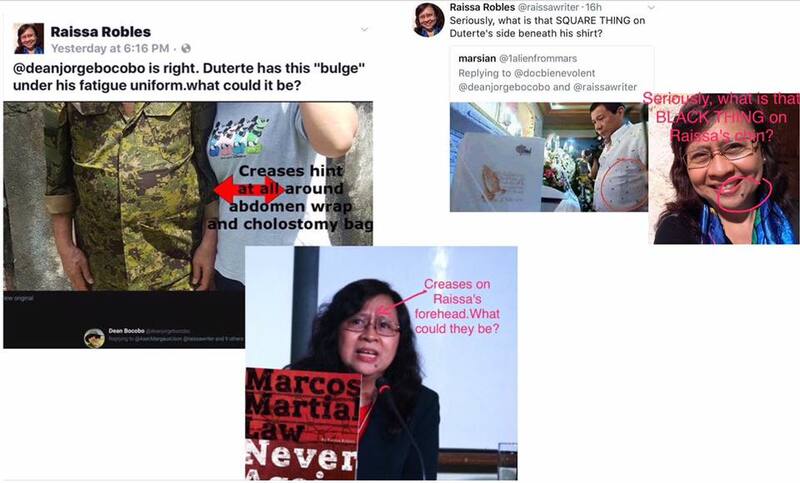 World, this is the quality of investigative journalists the PHL has. Ka sad.